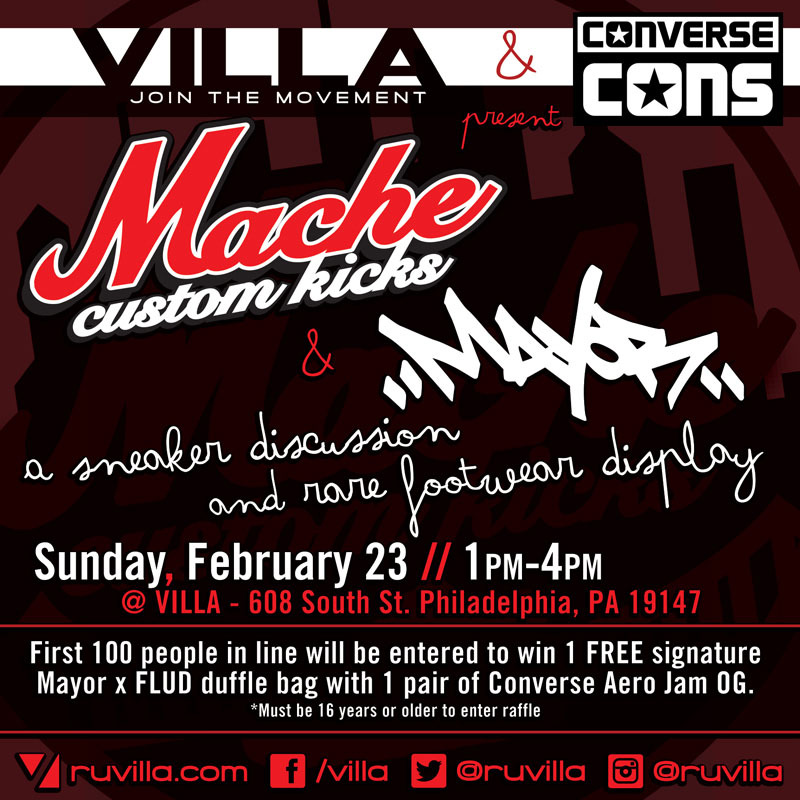 If you plan on being in Philly this weekend, you may want to stop by VILLA on Sunday for a special event featuring appearances by Mache and Mayor. If you plan on being in Philly this weekend, you may want to stop by VILLA on Sunday for a special event featuring appearances by Mache and Mayor. Both will be displaying rare pieces from their collections and participating in a Q & A session with guests. The event kicks off at 1:00 p.m. EST and runs until 4:00. More details in the flyer below.